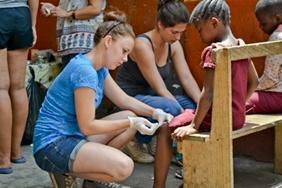 Join one of our rewarding Nursing Elective projects and explore nursing practice in a developing country! These worthwhile placements are tailor-made for undergraduates studying towards a degree in Nursing. Challenge yourself, learn new skills and gain valuable experience in a completely different environment. As a nursing student taking your Elective abroad, you will get to witness the differences in healthcare between your host and home countries. In many of our destinations, for example, families are much more involved in patient care than they are in the UK. You will also be exposed to techniques and illnesses that are less common in western hospitals and clinics. Many placements will not have the up-to-date equipment you are used to. However, our local medical staff are highly dedicated and knowledgeable, and do their very best in the limited working conditions they have. You will have the opportunity to come up with creative solutions to combat these obstacles. 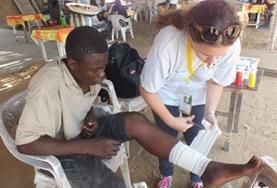 Nursing Elective volunteers will work alongside local nursing staff, learning from them and assisting where necessary. You can choose which department you’d like to work in if you have a particular specialism in mind, or rotate through the different departments to see a bit of everything. 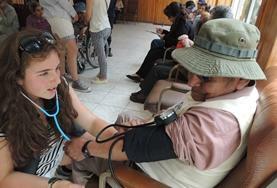 Some students also choose to work in a care-based setting, rather than in a hospital or clinic. If you are not an Elective student or would rather take part in our standard Nursing projects, please see our Nursing Projects page. 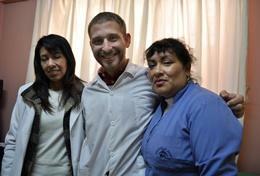 Bolivia By choosing a Nursing Elective in Bolivia you can volunteer in the specialisms of adult and child nursing or mental health. You may also be interested in working with people with learning disabilities. Ghana Develop your skills through a Nursing Elective in Ghana and assist in the treatment of various medical conditions you would not normally see in your home country. Mexico As long as you have a moderate grasp of the Spanish language, Mexico may be the ideal place for you to take your Nursing Elective. 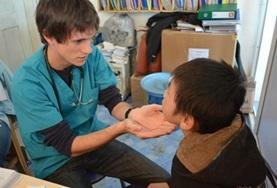 Mongolia On a Nursing Elective you will be based in the capital city of Ulaanbaatar. You will have the chance to work in various departments working alongside experienced local staff. Morocco Through taking your Nursing Elective in Morocco you will experience the healthcare profession in a foreign country. You will also be living and learning in a fascinating culture rich country. Nepal As an elective student in Nepal you will be provided with a placement that not only meets your elective requirements but also gives you a full and rewarding experience of this fabulous country. Peru Our Nursing programme in Peru is based in the World-Heritage city of Cusco, the ancient capital of the Incan Empire. 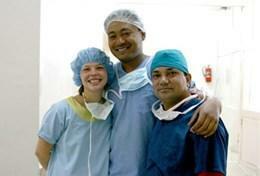 You will gain worthwhile experience in one of our partner hospitals. Sri Lanka Trained local staff will be keen to test your existing knowledge and skills on a Nursing Elective placement in Sri Lanka. Tanzania If you take your Nursing Elective in Tanzania you are sure to find the experience both challenging and rewarding. You may witness some conditions you would not normally see in your home country. 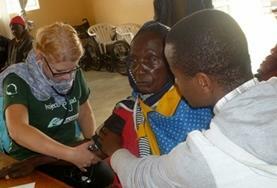 Togo As a student on a Nursing Elective in Togo you will be based in the capital city of Lomé. Your role will include providing vital support to both local medical staff and patients. 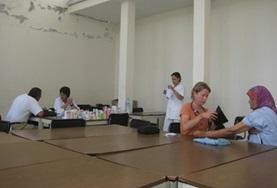 Vietnam Work in a city hospital and learn about many new medical conditions to gain a greater understanding of healthcare in Vietnam.